The word "vinyasa" means "to place something in a special way.” This class will consist of yoga postures, mindful movements, mudra (gestures), bandha (locks), breath work, deep relaxation and meditation woven together in a special way to reach a specific desired energetic result. Anytime you mindfully move and shape your body and breath, you are altering theenergetic landscape inside of you. Through the practice, you will feel a positive force begin to manifest that is beyond your thinking mind. The more awake you are for this experience, the more your practice will change you - on and off the mat. Classes are designed to build strong foundations of alignment. In this class, you'll focus on creating strength and stability, as well as balance in your postures and will link the postures to breath in a short flow. These classes are for all levels, unless specified otherwise. Gentle class with a focused rigor towards alignment/awareness. Vinyasa links the postures into a sequence of movements that "flow" with the breath in a series with very little rest between postures. 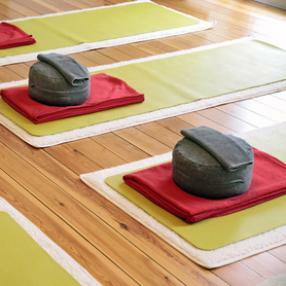 This class will have focused breathing, flowing posture sequences and restorative postures. The overall goal for this class is to guide you to a state of comfort, peace, and rejuvenation of their body, mind, and spirit. All levels are welcome. A slower Vinyasa class based on alignment. Great for beginners. Whether you're a beginner or have been practicing yoga for quite some time, this class will help you strengthen, stretch, tone, & relax your body. This class is catered to the needs of the clients by incorporating Hatha and/or Vinyasa flow. 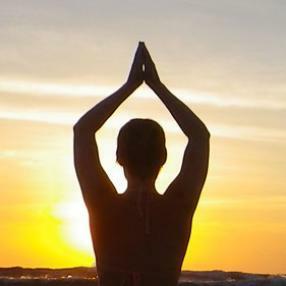 Performing a variety of asanas and breathing techniques will physically and mentally help revitalize your body. Integral Yoga is a gentle style of yoga that places equal emphasis on improved flexibility & strength, better health, and greater mindfulness. The result is a simple but powerful practice that provides better vitality, more comfort, and increased peace of mind.